Summary: Little Togari Onsen gets lost in the shadow of larger cross-valley giant, Nozawa Onsen, but a bit of exploration will help you discover that this little ski-jo really isn`t that little after all. 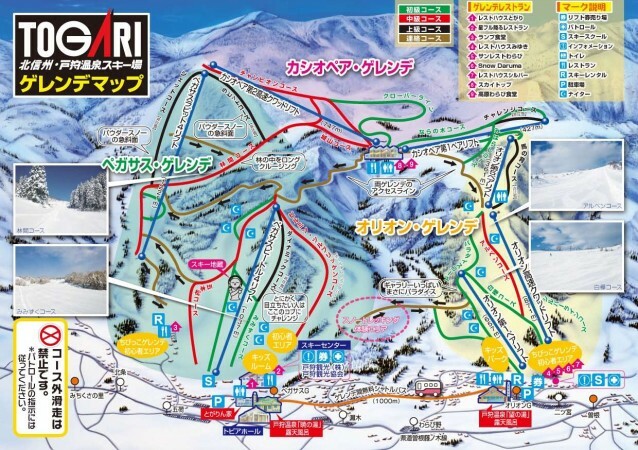 Fun groomed trails, surprising powder pockets off-piste, beautiful scenery, JR rail line access, manageable crowds, night skiing, slope-side accommodations and excellent natural hotsprings close to the base lifts make Togari a small Nagano ski resort with big potential for good times. You might think by the name of this relatively unknown Nagano ski-jo that soaking your sore muscles in the onsen takes precedence over shredding the mountain. But you`ll find that Togari Onsen has more to offer than just therapeutic thermal water within walking distance of the lifts. Without question larger nearby ski areas, Nozawa Onsen and Madarao Kogen, deliver more terrain options. Likewise, famous cross-valley neighbor, Nozawa Onsen, has a far stronger snowsports heritage dating back to the 1930s and attracts more international visitors with its traditional village filled with onsen & steaming footbaths. However, little Togari can definitely satisfy your Japow cravings on & off trail for at least a day or two on your snowtrip to Japan and arguably emits a far more “Japanese” vibe today as hordes of Western tourists mainly ski-&-stay in more crowded Nozawa. 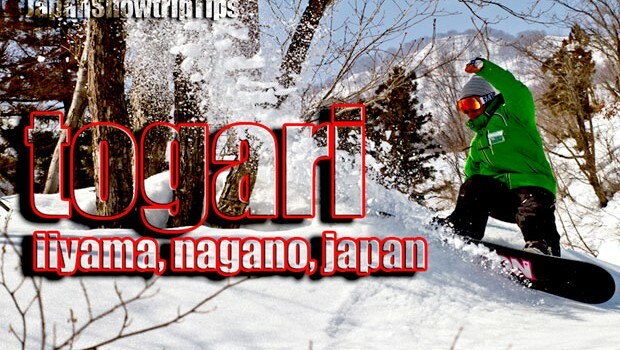 English-speaking staff are generally non-existent which also contributes to Togari`s obscurity compared to more visited Nozawa Onsen, but in our view this is a great attribute as we prefer to ride in Japan when we`re in Japan…not Australia. Friendly smiles from locals content with maintaining the centuries-old agricultural roots of the area make a day at Togari Onsen a true Japanese riding experience that we strongly recommend for snow-trippers interested in cultural immersion as much as powder submersion. Togari doesn`t have an extremely extensive trail system, but it`s large enough to keep you occupied. There are fun, deceptively long, mellow angle cruisers across the entire resort that all ability levels can enjoy. Likewise, although the groomed trails are not very steep, there is only one flat “trouble spot” returning from the backside of the ski area to the front which will likely require a short 1-foot push for snowboarders. Beginners: The groomed terrain at Togari Onsen provides some excellent beginners trails. As the pistes are generally low-angle on both sides of the mountain, novice skiers & snowboarders can ride the majority of the ski area without finding themselves in places that are too challenging for exploration. 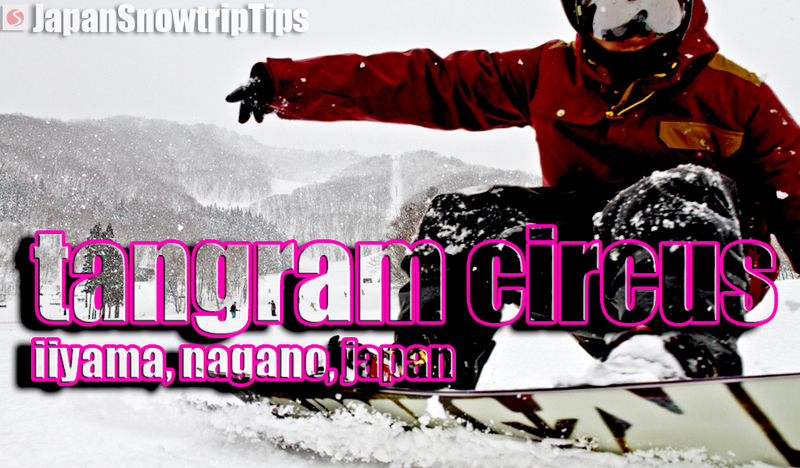 Intermediate: Togari`s red-rated trails are fantastic for intermediate skiers & boarders. The entire groomed trail system at the resort is accessible making it a fun place to freely cruise without fear of ever being confronted with scary descents too steep to handle. Advanced: High-skill skiers & snowboarders won`t find the pistes at Togari very interesting for full-throttle downhill assaults, but the intermediate red trails are still speedy enough for a fun time. There is a nice mid-angle black-rated course to skier left of the main front-side lift (Pegasus beetle 4) that is set-up for speed trials and ski tests exclusively for skiers. Otherwise there isn`t anything else with a black rating that is groomed regularly. The lift-accessed off-piste terrain at Togari isn`t expansive, but there is quite a bit that remains ungroomed on the upper portion of both sides of the mountain providing quick faceshots for skilled shredders, as well as an equally good chance for lower level skiers & snowboarders to test their skills in Nagano powder. The steep, undulating terrain below the Pegasus Rabbit 4 lift offers surprising opportunities for easy access freshies for advanced riders. 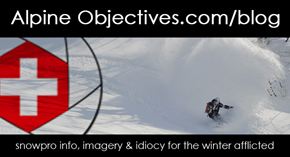 Otherwise, you`re going to need to un-click/un-strap and walk for your Togari off-piste pow. The terrain accessible via hiking from the top of the Cassiopeia 2nd Express Quad is great, but guidance is required to reap the full rewards offered by this Nagano sidecountry/backcountry zone. Generally, regardless of lift or hike access off-piste, you can expect relatively short-but-steep drops in widely spaced trees across playful terrain. Holiday periods and weekends at Togari Onsen can get a bit crowded on beginner runs as the ski area is relatively small (albeit deviated into two separate trail-connected mountains). The front side of the ski hill during busy days will be littered with face-planting (not face-shotting) novice snowboarders as it is a big draw for domestic youth fully intent on surfing the mountain seemingly without the help of an instructor. The backside of the resort disperses crowds much better, although you`ll still need to be alert on busy days to make sure you can dodge an unskilled slider if you have to. Weekdays outside of holiday periods will allow for a lot of elbow room at Togari and even weekends outside of high-season will be more relaxed than larger Nagano ski resorts nearby. The lift system at Togari consists of a total of 8 lifts. 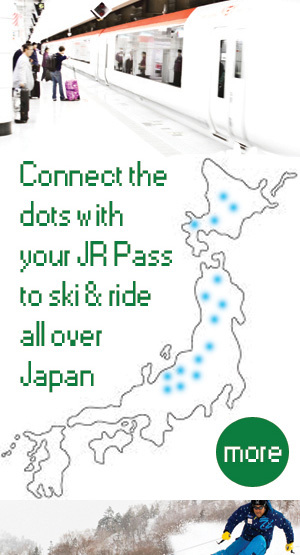 Much like countless other ski areas in Japan, lift infrastructure is not the greatest attribute of the ski area. We`re rarely bothered by lift systems in Japan as it`s widely accepted that chairs are often quite slow, pretty old and not always extremely efficient. Togari`s lift system could definitely use some upgrades including extension of terrain access on the backside of the ski area (primarily for off-piste access purposes), but the minimal layout keeps the scenery uncluttered which is always a plus in our book. Bottlenecks can occur at the base lifts on the front side — Pegasus Beetle 4 and Orion 1st — as these parts of the mountain cater to beginners of which there are many at Togari. 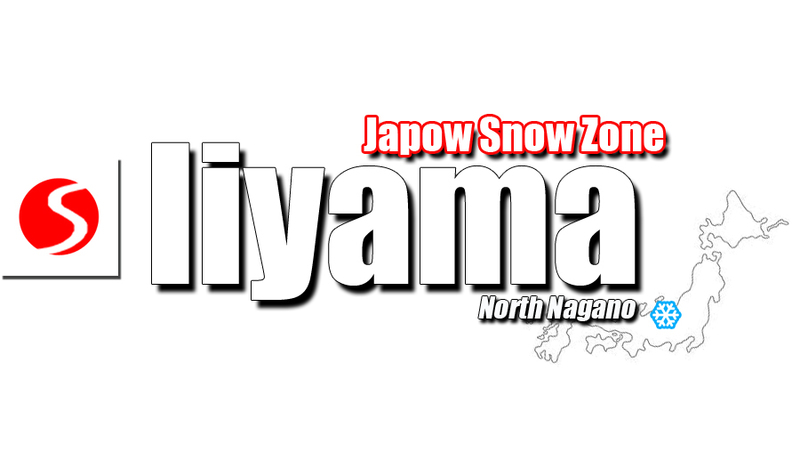 During high-season (Jan-Feb) Togari normally gets hammered with the same consistent trademark snow that buries the Iiyama, Nagano region under 12 meters annually. However, due to lower elevation and southerly aspect, conditions can deteriorate quickly and rain can sometimes be problematic even before March arrives. But when the temperature is right and snowpack is at its best, Togari has excellent faceshot potential. End of season Spring riding is great as the south-facing slopes provide wonderful opportunities for cruising under the sun. *Night skiing Saturdays only, Jan.-March; extended nights Tues. & Thurs. in Feb.
Soaking in the onsen after a day of pow faceshots is one of the greatest aspects of skiing & snowboarding in Japan. But you`ll begin to discover after visiting more and more onsen across the country that not all are created equal. There are a number of factors that make each onsen experience enjoyable (or not). Architectural layout, natural vs. artificial springs, indoor vs. outdoor, scenic surroundings, water temperature, cleanliness — all of these factors and more go into making an onsen either a special place or just a forgettable warm water hole to soak your sore muscles. The onsen at Togari Ski Area — one each at the two seperate base areas — have the tangible and intangible attributes to make your onsen soaking experience a top one. Traditional architecture, well designed indoor & outdoor bathing spots, affordable entry cost and above all, natural therapeutic thermal water that`ll loosen the tightest thigh muscles after a day shredding the slopes. Before you dip into the Akatsuki and/or Nozomi onsen at the Togari ski area bases, check out our Onsen Guide to help make your trip to the hot-springs a smooth one. Snowtrip Tip 2: Clean affordable rooms with marvelous views, the best meals in Nagano, easy access to the slopes, uncrowded onsen and smiles every morning. What more could you want from a B & B? While everyone else pays a fortune and crams together in Nozawa Onsen village, book your stay at one of the best value accommodations we`ve found in all of Japan, Shikisai no ya do Kanoe – Colors of the 4 Seasons House. This family-run Japanese style inn (ryokan) has 16 clean, well-sized rooms in both Western & Japanese tatami style. Rooms include private en-suite toilets, skiable trail access to Togari Onsen ski area, beautiful views toward Nozawa Onsen ski resort on the opposite side of the valley, excellent indoor hot-spring and arguably the best meals made from fresh local goods that you`ll eat during your entire snow trip in Japan. Our off-piste rating at Togari Onsen would have been higher except that the majority of epic off-trail pow opportunities require variable length hikes outside the boundary. When former Olympic racer and current Togari ski coach, Toshi Kanoe, has time away from his ski training sessions, book an out-of-bounds adventure with his company, Powerdrive. Toshi has English language skills making the process easier than you`ll find in many parts of Japan unless you`re with a Western-run backcountry guiding service. Snowtrip Tip 4: No car? No problem but you`ll need a ride. JR Togari-Nozawa Onsen Station is too far away from the ski area to walk up-hill for fresh tracks in the morning. Hire a private shuttle from where you`re staying or hop on the free shuttle bus that makes stops at Nozawa Onsen, Madarao Kogen and Togari Onsen. Be aware though, the ski bus is not extremely efficient if you want first tracks in the morning as arrival times vary between each ski area and won`t get you there before 9AM. We suggest hiring a taxi but be prepared for the meter to rise quickly. Taxis aren`t cheap in Japan but they`ll drop you right where you need to be for morning facehsots at Togari. Iiyama City is easily reachable from JR Togari-Nozawa Onsen Station within 20 minutes and a bit quicker by car. 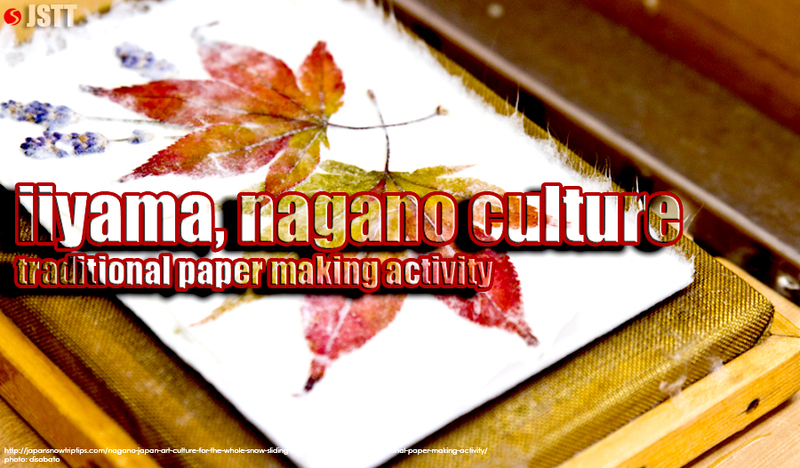 The short train or drive from Togari to Iiyama City will give you the opportunity to experience some of the region`s highly recommended centuries-old artistic & cultural offerings including traditional paper making, metal crafting with a master artisan and sake tours & tasting at one of Nagano`s top breweries. Each of these activities is extremely low-cost (or free) and contribute to making a snow trip to Nagano prefecture more rewarding than simply snagging fresh faceshots.